In a little over twenty four hours, Westfield State will be rocking with the finest athletes in Massachusetts. We will have those going for the win, a few looking to take down meet records, and a large number just looking to end their seasons on a high note. To help you navigate the very busy day at the track, we are providing you with the five MUST watch events on the boys side of the action! It will be a classic story of North vs. South in Saturday's long jump competition. 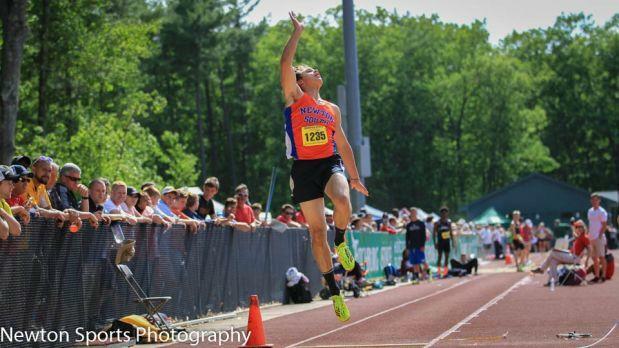 Both Jared Prior of Newton North and Anthony Denitto of Newton South have been prominent figures on the long jump runway for the past few years and it will be their final showdown tomorrow. It's been a very strong spring for Prior, who has jumped over 22 feet four out of his five outings, achieving a lifetime best of 23'0.75" at the Coaches Invite in mid-May. Unfortunately for Prior, Denitto is the defending All-State Champion and he is rounding into form at exactly the right time. At the start of spring, the Newton South senior had a personal best of 23'9.25" but seemed to be struggling to get back into the 23' area during his first two outings. Though that all changed last week when Anthony leapt to a new six inch personal best of 24'5.25" to defeat Prior and win the Eastern D1 Champs. While Denitto's state leading mark is well over a foot better than Prior's lifetime best, we don't think the title is totally locked up and we're certain both competitors are looking to win. Be sure to also keep an eye on Carlos Ribeiro of New Bedford. He finished 3rd behind Prior and Denitto last weekend with a big personal best of 22'8" and could possibly find that magic again in Westfield. There are many interesting storylines that could possibly unfold in this star-studded two-mile field. The first and most obvious is Thomas Ratcliffe and his pursuit not only for victory, but for a piece of Massachusetts track and field history. Ratcliffe has shown all year that he is on a different level than anyone else in Massachusetts and that was well showcased when he claimed the state mile record (4:01.50) on Thursday evening. Given Ratcliffe's credentials he is certainly capable of taking down one of the oldest records in the book, Alberto Salazar's 9:00.0 Meet Record from 1975. It's definitely not going to be easy, as that record has not stood for this long due to a lack of high caliber runners in the state or sub-par championship fields. But we are going to make a bold prediction and say that Ratcliffe will eclipse 41-year-old meet record. It's quite obvious he is in the best shape of his life and having already gone 9:00 twice in his career, Ratcliffe is the perfect man for the job. Another major story line in Saturday's race will be the battle for second. 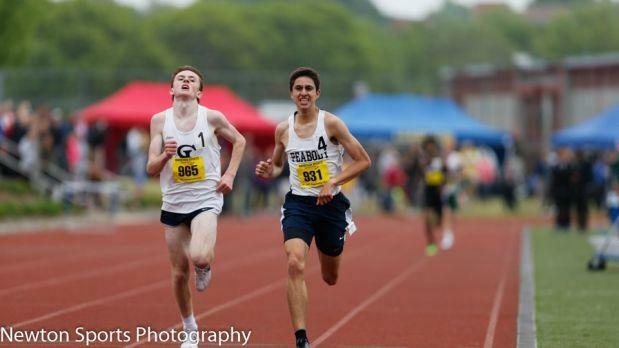 Marcelo Rocha of Peabody and Tristan Shelgren of St. John's Prep treated us to spectacular battle at last weekend's Eastern D1 Champs where they both recorded times of 9:10. That type of performance was expected by someone of Rocha's caliber, but for Shelgren it was a PR by over 20 seconds. While these two are the #2 and #3 seeds, we still need to keep our eyes on the likes of Peter Monahan of St. John's, Jake Affanato of Mansfield and Daniel Ashchale of CR&L. This trio has all dipped under 9:20and are capable of contending with Rocha and Shelgren. Then there is the third piece of this very interesting two-mile puzzle and that is Nick Steele of Bromfield. The senior really turned our heads in early May when he took part in the stacked Glenn D. Loucks 2 Mile and achieved a huge personal best of 9:04.2. Keeping his typical low profile, Nick emerged again last week and won the Central/Western D2 2Mile in a pedestrian 9:41.1. Unfortunately, Nick's time puts him 16th on the startlist and he has decided to opt out of racing Saturday's All-State Meet. Instead, Nick will head to the Twilight Meet and race the 1500m. Definitely a very disappointing situation and changes need to be made in order for this to not happen in the years to come. Erick Duffy of North Andover will easily defend his All-State title from last year on Saturday. He set the indoor state record this past winter and took over the outdoor state record last weekend with his vault of 16'0.5". Though don't expect the North Andover senior to settle, as Duffy has his sights set on getting even higher. 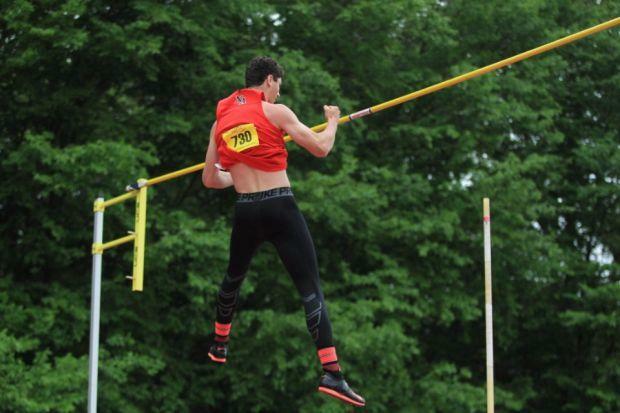 Especially with the burden of state record now off his shoulders, we could be in store for one excellent display of high flying athleticism by the best Massachusetts vaulter of all-time! Could we possibly see an underclassmen claim the "Fastest Boy in Massachusetts" title on Saturday? Well it's quite likely given that last year's top returner and Indoor 55M Champion, Abu Ceesey of Norton has been out all spring due to a knee injury. Sophomore, Davonte Burnett of Needham has been the state leader for most of the Spring due to his 10.78 victory at the Andover Booster Meet. Not to far behind is freshman, Smith Charles of Milton who clocked in personal best of 10.90 to take first at the Coaches Invite. Both of these youngsters easily own their respective Divisional Championship races and appear to be ready for battle on Saturday. Hoping to spoil their fun will be the senior from Worcester Tech, George Biney. Dipping under 11.00 three times this spring, Biney posted his personal best and MA#3 time of 10.91 just last week to win the Central/Western D1 Champs. Nik Smith of Northampton is also someone who should never be counted out and could surprise the field with his Western Mass. speed! The last time Rodney Agyare-May of Burncoat lost a 400m race in Massachusetts was all the way back in May of 2014. 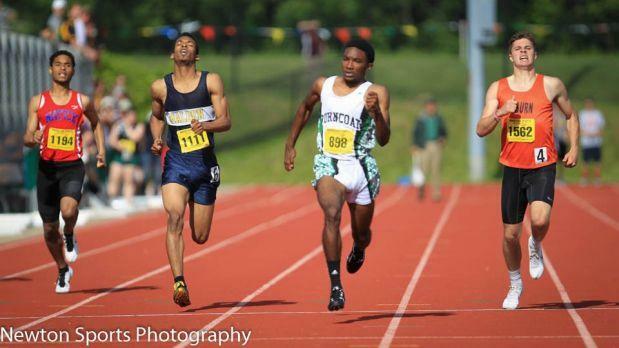 He left his competition in the dust last Spring and took the All-State title with his lifetime best of 48.35. So far this outdoor season, Rodney finished runner-up at the Glenn D. Loucks Games running 48.43 and won the Central/Western D1 400m 48.56. All very respectable performances and certainly showing no signs of weakness. Though if he isn't careful, Agyare-May could have company on the final curve from Myles Holt of Natick. The senior from Natick is making the most of his final high school season and has run 48.60 (PR) to win the Weston Twilight meet and 48.88 to win the Eastern D2 race last weekend. 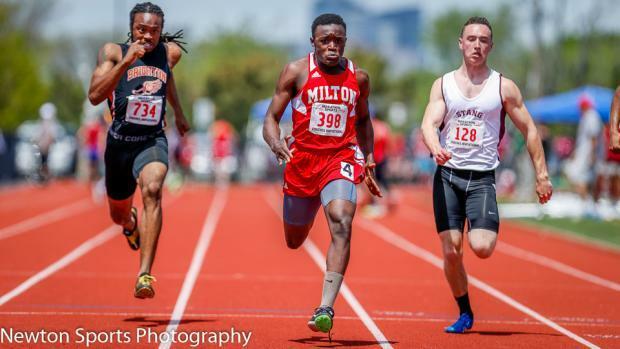 We feel that Rodney certainly as the slight advantage being the defending All-State Champion, but still think there will be some sparks that final 100 meters.